Opening statements in Martoma's trial are set to begin Friday. A portfolio manager who worked for hedge fund mogul Steve Cohen and now faces insider trading charges was kicked out of Harvard Law School for allegedly forging his transcript, according to court documents released Thursday. Prosecutors hope to use the incident as evidence against the suspect, Mathew Martoma, who is the latest one-time employee of Cohen's SAC Capital to face insider trading allegations. Opening statements in Martoma's trial are set to begin Friday. 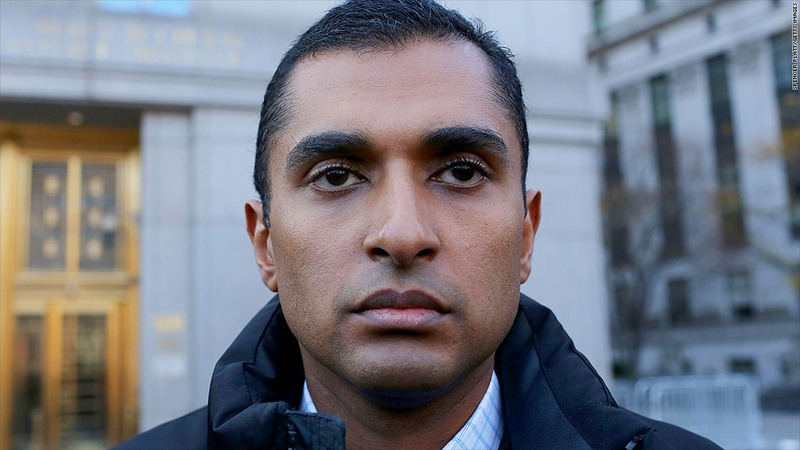 According to the prosecution's submission, which cites evidence from Harvard disciplinary proceedings, Martoma forged a transcript back in 1998 for use in his applications for federal clerkships. He later fabricated email correspondence submitted as evidence during Harvard's investigation of the incident, as well as "a phony report from a supposed computer forensics firm," prosecutors said. Martoma now stands accused in a case Manhattan U.S. Attorney Preet Bharara has called "the most lucrative insider trading scheme ever charged." He allegedly obtained inside information from a doctor who worked on clinical drug trials that prompted him to change his position in shares of the drug companies Elan and Wyeth, avoiding losses and generating profits for a combined $276 million gain. "The Harvard Evidence demonstrates both Martoma's knowledge of the importance of minimizing the existence of incriminating electronic traces and of his ability to create sophisticated forgeries and alterations of such evidence," prosecutors said in the filing. Martoma's lawyers had requested that the court exclude evidence from the incident, calling the Harvard board's allegations against Martoma "unproven." "This event of 15 years ago is entirely unrelated to and has no bearing on this case," said Lou Colasuonno, a spokesman for Martoma. "Raising it now is a transparent effort by the government to unduly influence ongoing court proceedings." Harvard Law School spokesman Robb London declined to comment, saying federal privacy laws "prohibit us from discussing disciplinary matters." Martoma's trial follows last month's conviction of Michael Steinberg, who was also a portfolio manager at SAC. Steinberg, who is scheduled to be sentenced in April, could get 20 years in prison. Six other former SAC employees have pleaded guilty to insider trading. Cohen himself has not been charged criminally, though his firm was ordered last year to shut down its investment advisory business and pay $1.8 billion in fines.